Voters selected a trio of republicans, Steve Smith, Frank Pratt and John Fillmore, to represent them in the state legislature, the first republican sweep since the county’s inception more than 100 years ago. Smith defeated District 23 state Senate incumbent Rebecca Rios by nearly 10 percentage points, or 29,330 votes to 24,641 votes. The democrat’s defeat will mark the first time in nearly three decades, come January, that a Rios, either Rebecca or her father Pete Rios, has not held a seat in the state legislature. In the District 23 House Fillmore and Pratt each secured around 29 percent of the vote compared to their democrat challengers Ernest Bustamante and Barbara McGuire who respectively brought in 20 percent and 21 percent of the vote. 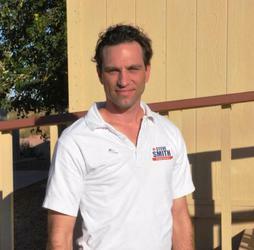 Locally the Maricopa Unified School District override measure was defeated a third time, Scott Bartle and Pattie Coutre were elected to the Maricopa Unified School board and Scott Sulley was re-elected as precinct 8 Justice of the Peace. These local race numbers were as of 8:30 a.m., with all precincts reporting. However, Pinal County Elections Department Director Steve Kizer said there were still more than 1,000 remaining provisional or early ballots to be counted. “These ballots should be processed by tomorrow,” he added. On the Federal level the race for U.S. Representative in the seventh district remains to close to call. Currently, incumbent Raul Grijalva leads republican challenger Ruth McClung 61,598 votes to 58,012 votes with 260 of 261 precincts reporting. Interestingly, among Pinal County voters McClung was a clear favorite, securing 58 percent of the vote compared to Grijalva’s nearly 36 percent. The other democrat incumbent representing Pinal County on the national level, Ann Kirkpatrick, lost her District 1 congressional seat to republican Paul Gosar.